Cocooned in the Wombat State Forest, the bush garden plays host to a variety of native birds, as well as being a place of restful contemplation. Our garden cafe serves our own heirloom produce for lunch Thursday - Monday. 12km up the road in Trentham, visit Red Beard Bakery - their loaves are made with organic flour, shaped by hand and baked in a woodfired oven, built in 1891 - one of only a handful of Scotch ovens still operating in Australia! 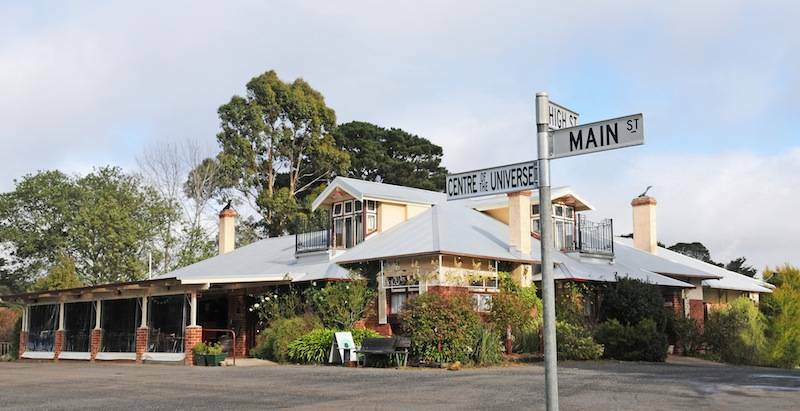 The Radio Springs Hotel is situated in the small historic village of Lyonville, between Daylesford and Trentham - a quirky pub with live music, woodfired pizza and beer garden.